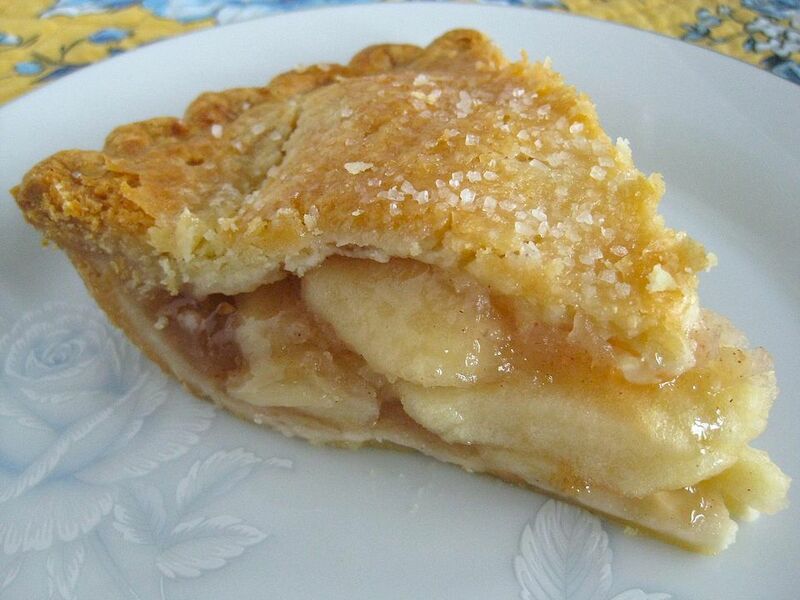 This Apple Peach Pie is a fabulous combination of flavors and textures. The juice produced during baking is like a wild sweet nectar. This recipe is a variation on the first place winner in "Pie On The Square", a local baking contest I judged a few years ago. Use refrigerator pie crust for best results. But you could also use a purchased refrigerated crust, or make my Hot Water Pastry. When you purchase peaches for baking, make sure that they are firm, but yield slightly to pressure from your fingers. You don't want to use peaches that are overripe, because they will dissolve in this pie. Granny Smith apples are available year round, and are usually the perfect ripeness to use in baking. The last time I made this I used white peaches, which make the fruits blend together. Then, when someone takes a bite, they get a sweet surprise! Preheat oven to 400°F. Line 9" pie pan with one crust of Refrigerated Pie Crust. In a large bowl, combine the sugar, tapioca, cinnamon, and apple and peach slices and mix gently to coat the fruit. Sprinkle corn flakes in the bottom of the pie crust, and fill with apple-peach mixture. Sprinkle the fruit with the dry lemon Jell-O and dot with small pieces of the butter. Add the top crust and flute. Cut decorative slits in top crust, then sprinkle with large sanding sugar. Bake at 400°F for 10 minutes, then lower the oven temperature to 350‡F and bake for another 45-50 minutes, until juices are bubbling and crust is deep golden brown. Let the pie cool on a wire rack for at least one hour before serving.